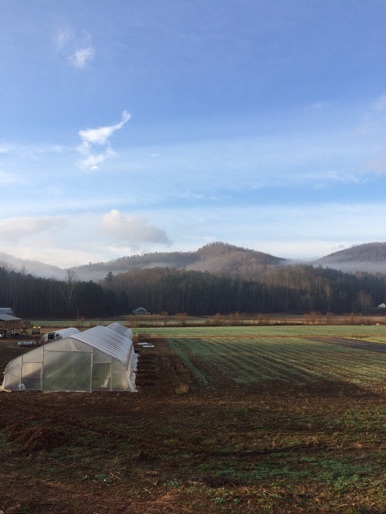 TEN MILE FARM is a 24 acre diversified vegetable farm located in the beautiful Crooked Creek township of Old Fort, NC. with over 40 varieties of vegetables during the growing season. You can connect with us at our stands at the River Arts District Farmers Market on Wednesdays and the Asheville City Market on Saturdays, during the market season. We also offer two different styles of CSA subscriptions. Our approach to farming is a sustainable one. We use a combination of cover crops, beneficial insects, crop rotation and organic approved applications to grow our food. We believe strong soil grows strong plants, therefore we always invest organic nutrients back into the soil each season. We have no interest in applying anything toxic to our plants or our fields and we never use any chemical pesticides or fertilizers.